It was established on 23 July, 1919 by Sir Dorabji Tata. After completeing 5 yaers of successful operations, it got nationalized. The company is famous in the market for its operations in the insurance industry in India. The global business crossed Rs. 22,270 crores in March 2017. Indian operations today span across all territories through 2452 offices, including more than 1339 Micro Offices. The company have 17702 employees and 68389 tied agents as on 30th June 2017, providing insurance services to our customers. The company is providing a great level of service to its consumers. The New India insurance caters into almost every aspect of the general insurance industry and it provides around 230 insurance products. It provides effective plans so that it can meet the consumers’ need easily. Apart from the basic plans the company also caters into micro, rural and social sector among others. As it is a government insurance company, you can easily apply for government-linked policies. The company has started its venture in 1919. At present, the company has its presence in 28 different countries that includes branches, agency, offices, associates and much more. It also has share in many different companies which are located in Singapore, Jordan, Kenya, and Saudi Arabia among others. It also has its business in Japan and Mauritius. The New India Assurance also has subsidiary agencies. One of them is in Lagos, Nigeria, which is known as Prestige Assurance Plc and the opposite subsidiary is positioned in Trinidad & Tobago. New India is also a stakeholder in a Saudi Arabia-based insurance enterprise known as WAFA Insurance. A number of the other insurance corporations where New India Insurance enterprise holds share includes, Kenindia Assurance Co Ltd positioned in Nairobi, India International Insurance Pte. Ltd situated in Singapore and Asian Reinsurance Enterprise. The New India Assurance Company has widespread insurance network in the entire Afro-Asia region except for Japan. Health insurance is a very effective plan that enables you to easily deal with medical emergencies that are very tough to deal with without any economic help. Health insurance policies provide complete safety to the insured and family. You can buy the health plan in keeping your needs and price in mind. It's going to assist you in getting best quality treatment without spending from your wallet. It is a compt vehicle owners ought to carry whilst riding. 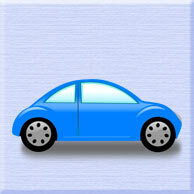 It's important in India to have motor insurance in accordance with the Indian regulation. Anyone who drives without insurance coverage has to pay heavy penalties. 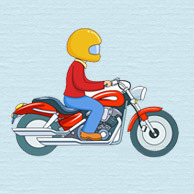 It offers monetary safety to the car/bike in opposition to any emergency. This plan is designed for those who has a Health Insurance Policy with Sum Insured of 8 lakhs and above. However, non-availability of the base Policy will not prejudice either the Claim or Renewal of this Policy. A discount of 5% shall be offered in Premium, to the Insured’s who has Health Insurance Policy with New India. Plan 'A' Up to USD 0.5 million per annum with lifetime limit of USD 1 million. Plan 'B' Up to USD 1 million per annum with lifetime limit of USD 2 million. Travel cost of one companion will also be covered (the limits in point (a) above apply). Accommodation up to USD 330 per day ; maximum of 30 days per Policy period. The expenses incurred for the donor, including travel and accommodation, will be covered. Top-up mediclaim is basically a health- top up policy that offers top-up coverage on the existing health insurance plan. With this plan, you will be able to pay the expensive bills of medical treatment that are still left after paying from the basic health plan. It comes into existence when the limit of basic health insurance plan gets exhausted. Offers protection against unforeseen Hospitalisation expenses. Pre–acceptance medical check–up is required for all the members entering after the age of 50 years. Relevant medical expenses incurred before hospitalization for a period of 30 days prior and 60 days after to the date of Hospitalisation are payable. Policy covers treatment and/or services rendered only in India. 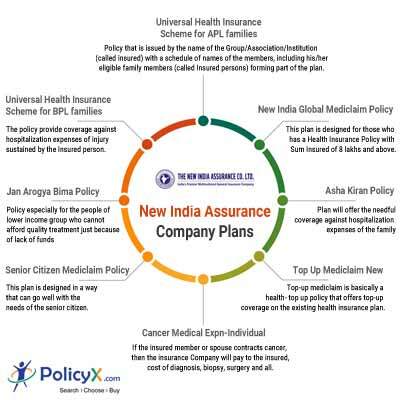 New India Asha Kiran Policy is one more effective policy by New India Insurance that is serving people for many years. This effective health insurance plan will offer the needful coverage against hospitalization expenses of the family and Personal Accident for parents. It is an effective plan that will be there to support you financially in case of need. Room Rent / Boarding/ Nursing Expenses and other expenses as specified in policy up to 1% of Sum Insured per day. This also includes Nursing Care, RMO Charges, IV Fluids/Blood Transfusion/Injection administration charges and the like, but does not include cost of materials. ICU up to 2% of Sum Insured per day. Anesthetist, Blood, Oxygen, Operation Theatre Charges, surgical appliances, Medicines & Drugs, Diagnostic Materials and X-ray, Dialysis, Chemotherapy, Radiotherapy, Artificial Limbs, cost of prosthetic devices implanted during surgical procedure like Pacemaker, relevant laboratory diagnostic tests, etc.& similar expenses. All Hospitalisation Expenses (excluding cost of organ, if any) incurred for donor in respect of Organ transplant. For cataract claims, the liability of the company will be restricted to 10% of Sum Insured or Rs. 50000 whichever less, for each eye. The policy covers the insured members and his/her spouse. During the operation of this insurance, if the insured member or spouse contracts cancer, then the insurance Company will pay to the insured, cost of diagnosis, biopsy, surgery, chemotherapy, radiotherapy, hospitalization and rehabilitation to the extent of the sum insured. The Indian Cancer Society as an add on benefit provide to the insured member and his/her spouse check up for cancer only once, free of cost and subsequent check up at 50% discount. 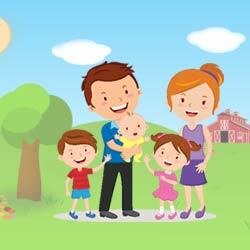 The policy can be extended to cover two dependent children of the insured person on payment of additional premium. Separate indemnities are granted to each child. Policy covers only allopathic treatment. One more effective and cheap health insurance policy especially for the people of lower income group who cannot afford quality treatment just because of lack of funds. It will be there to support them financially. This policy is designed to provide cheap medical insurance to poorer sections of society Premium upto Rs.10000/- qualifies for tax benefit under Sec 80D of the Income Tax Act. Service tax is not applicable to the policy. The coverage is along the lines of individual mediclaim policy except that cumulative bonus and medical checkup benefits are not included. The Sum Insured per insured person is restricted to Rs5000/-. The policy is available to individuals and family members. The age limit is 5 to 70 years. Children between the age of 3 months and 5 years can be covered provided one or both parents are covered concurrently. Senior Citizen Mediclaim Policy more effective plan by NIA for the senior citizens.This plan is designed in a way that can go well with the needs of the senior citizen. It will provide the needful coverage in the older days of a person. Hospitalization expenses incurred for the treatment of illness/injury. Pre- and post-hospitalization expenses up to 30 and 60 days respectively. Limited cover for hospitalizations in government and /or registered Ayurvedic/Homeopathic and Unani hospitals. Pre-existing diseases are covered only after 18 months of continuous insurance with our Company. The policy is designed in a way that can easily provide coverage against hospitalization expenses for illness/diseases suffered or injury sustained by the Insured person. It will help in dealing with an unwanted medical emergency. It is also a form of group policy that is issued by the name of the Group/Association/Institution (called insured) with a schedule of names of the members, including his/her eligible family members (called Insured persons) forming part of the plan. It comes with a wide coverage. The Group UNIVERSAL HEALTH INSURANCE POLICY will be available to groups consisting of more than 100 families. Each Insured should cover all eligible members (insured persons) under one group policy only. In other words different categories of eligible members shall not be allowed to be covered under different group policies. It is not permissible to issue any unnamed group policy. The Group Policy will be issued in the name of the Group/Association/Institution (called insured) with a schedule of names of the members including his/her eligible family members (called Insured persons) forming part of the policy. The Policy covers reimbursement of Hospitalisation expenses for illness/diseases contracted or injury sustained by the Insured Person. In the event of any claim becoming admissible under policy, the company through TPA will pay to the Hospital/ Nursing Home or Insured Person the amount of such expenses subject to limits as would fall under different heads mentioned below, as are reasonably and necessarily incurred in respect thereof anywhere in India by or on behalf of such Insured Person but not exceeding Sum Insured (all claims in aggregate) for that person as stated in the Schedule in any one period of insurance. New India Mediclaim 2012 Policy is more effective health insurance plan by NIA that is available for the entire family at an affordable cost. With this helpful plan, you will be able to deal with all forms of medical emergencies easily. With the wider coverage, it will be easy for you to get quality treatment on time. New India Mediclaim 2007 Policy is more effective health insurance plan by NIA that is available for the entire family at an affordable cost. With this helpful plan, you will be able to deal with all forms of medical emergencies easily. With the wider coverage, it will be easy for you to get quality treatment on time. New India Janata Mediclaim Policy is effective health insurance plan is designed to meet the needs of any medical emergency. It offers the needful coverage at an affordable price to the entire family that will help a lot in saving money. Family Floater Mediclaim Policy is effective health insurance plan is designed to meet the needs of any medical emergency. It offers the needful coverage at an affordable price to the entire family that will help a lot in saving money. NIA offers a wide and effective range of motor insurance and bike insurance products and Rasta Apatti Kavach (Road Safety Insurance) is one of them that offers great benefits to the insured. This effective plan comes at an affordable price and offers complete coverage to the insured.This policy offers coverage against damage, theft and different forms of mishaps. 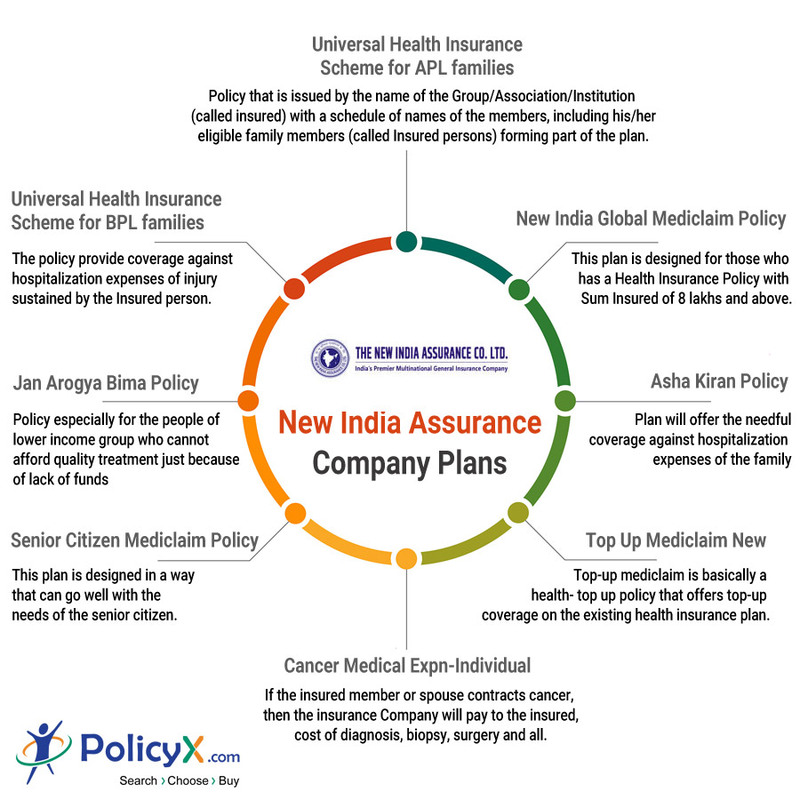 New India Group Mediclaim Policy is effective health insurance plan is designed to meet the needs of any medical emergency. It offers the needful coverage at an affordable price to the entire family that will help a lot in saving money. It is mandatory for every owner of a vehicle plying on public roads, to take an insurance policy, to cover the amount, which the owner becomes legally liable to pay as damages to third parties as a result of accidental death, bodily injury or damage to property. Liability only policy. This covers third party liability for bodily injury liability and / or death and property damage. Personal Accident cover for Owner-driver is also included. Package policy. This cover loss or damage to the vehicle insured. Under this effective Motor Policy by NIA, you will get two different types of coverage which are liability and package coverage. Both carry wide coverage and several benefits. Just search for desired one today. Suhana Safar is an effective motor insurance plan by NIA that offers numerous benefits to the insured at an affordable price. You will get wider coverage under it and that too at an affordable price. The numerous features of this plan makes it an attractive choice of buyers. Medical expenses incurred by the insured persons, outside India as a direct result of bodily injuries caused or sickness or disease contracted are covered. Age Limit: 6 months and above upto 70 years. Proposal reveals that insured had suffered from/suffering from any illness/disease. The Proposal Form should be accompanied with (1) ECG printout with report and (2) Fasting blood Sugar and Urine Sugar, Urine Strip Test Report or any other medical report required by the company etc. along with the attached questionnaire II (B) to be completed and signed by the Doctor with minimum M. D. qualification conducting the test. Age Limit: 6 months and above up to 70 years. Insured is over 70 yrs of age and visiting countries other than USA/Canada. 1. Why to fill form for purchasing insurance? The amount, which the insured has to bear in all instances and this amount is first deducted from the full assessed payable claims amount before determining the coverage liability of the insured. It's an arrangement by which insurance agencies spread their risk by purchasing insurane policies from other insurers to limit the losses to the original insurer in times of disasters and high claims. The premium paid by the insured is usually shared by all the companies involved in reinsurance. 4. What is the right age for buying Mediclaim coverage? 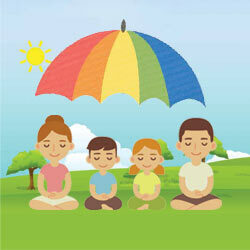 The insurance is available to people between age of 5 and 80 years. A child of three years will also be able to get the coverage. You should asses your requirements and liabilities before making a purchase decision. The All India Insurance Employees Association (AIIEA) which refers to be the major union in the public sector general insurance companies is now asking for a merger of four companies for the rapid growth. Sanjay Jha, Secretary Standing committee (General Insurance, AIIEA), said, “The central government is planning to merge three non-life insurance companies — United India Insurance, Oriental Insurance and National Insurance — barring New India Assurance. As per the business figures that are released by the insurance regulatory authority, all these four public sector general insurance companies had earned around Rs 59,357.92 crore of premium in the last fiscal. On asking about the post-merger and its effects, Mr. Jha said that the number of branches may go down and the staff may be deployed. But it is for a short time only, after the merger, the business will grow and will be able to open new branches and adding staff members every year just like LIC (Life Corporation Of India). Today, India’s cabinet approved a policy to publicly list government general insurance companies. The same has been reported by news agency NewsRise, citing an unnamed government official. The companies are well-known government sector entities namely New India Assurance, United India Insurance, Oriental Insurance and National Insurance & General Insurance. Shareholding of these Cos to be divested from 100 % to 75 %. The same had also been announced by FM Jaitley in last year’s budget for the sake of improving transparency and accountability in public sector companies.